We’ve spent £41million expanding and improving the health facilities at our City South campus. Our facilities offer hands-on practical experience with professional standard equipment across our sport, health and education courses. 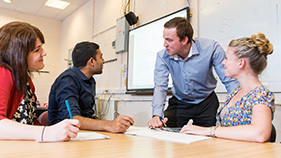 The School of Education and Social Work has a long and established history when it comes to delivering initial teacher training (ITT), education, childhood and youth courses in Birmingham. We offer high quality courses at both undergraduate and postgraduate degree level that are tailored to meet the needs of the professions. We train the most full-time, undergraduate nurses in the UK (HESA 2016) offering cutting-edge learning facilities including state-of-the-art lecture theatres and seminar rooms, mock wards, birthing rooms, operating theatres and virtual reality software. Our departments cover Adult Nursing, Mental Health, Learning Disabilities, Midwifery and Child Health. We are one of the largest and most diverse providers of health and social care education in the country and our departments comprise of Operating Department Practice, Paramedics, Public and Community Health, Radiography, Speech and Language Therapy, Sport and Life Sciences. 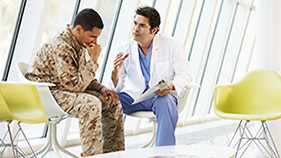 The Defence School of Healthcare Education, Department of Healthcare Education (formerly the Defence School of Health Care Studies and the Defence School of Postgraduate Medical Studies) is the Armed Forces' provider of healthcare education to Defence Medical Services personnel.